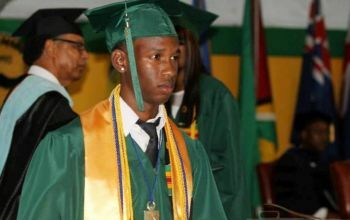 Yohance T. Smith is a 22-year-old Part Time Marketing Manager at Greencrete BVI. He hails from the community of Sea Cows Bay, Tortola. Mr Smith is tasked with conceptualising marketing strategies and schemes, promotional strategies and advertisements. He is also responsible for screening requests and communicates with customers while analysing and obtaining data for future promotions. While putting his creative juices to work while using the logical information to carry out his task, Yohance admitted that the most challenging part about his job is to “convey the great image” of the business while keeping up with the trends of today’s society. “I always desired to become a Marketing Manager and the job I have gives me the opportunity to fulfil this,” he said. Before working at Greencrete, he expressed that he was a marketing intern at the BVI Tourist Board during the Christmas and summer break from 2015 to 2017. On July 29, 2017, Yohance captured the title of Mr Junior BVI where he made a clean sweep of awards which included Mr Photogenic, Mr Congeniality, Mr Popularity, Mr Poised, Best Talent, Best Black and White Affair, Best Swimwear, Best Intellect and Best Evening Wear. Our young professional was a proud member of the Ebenezer Thomas Primary School where he graduated Valedictorian of the Class of 2007. He graduated Top 10 with the Class of 2012 of the Elmore Stoutt High School (ESHS) before moving to the H. Lavity Stoutt Community College (HLSCC) where he graduated with an Associate’s Degree in Business Administration with the Class of 2014. Our young professional’s thirst for success pushed him to obtain his Bachelor’s Degree in Marketing from Texas A&M University-Commerce from 2014 to 2017. Yohance is a proud member of Eta Phi Chapter of the Kappa Alpha Psi Fraternity. Throughout the years, Yohance has allowed himself to be guided by a single mantra: Success is a journey, not a destination, which assisted him in overcoming one of his biggest life lessons. Our young professional’s interest in the marketing field inspired him to start up his own business called Touch of Class Marketing that is currently in its planning and startup phase. “Being a business student at HLSCC I had to take a marketing class. When I took that class, the teacher having a keen interest and enthusiasm about the topic sparked a light in me. I then went and did my own research on the field and realised that proper marketing is needed in the British Virgin Islands,” explained Yohance. 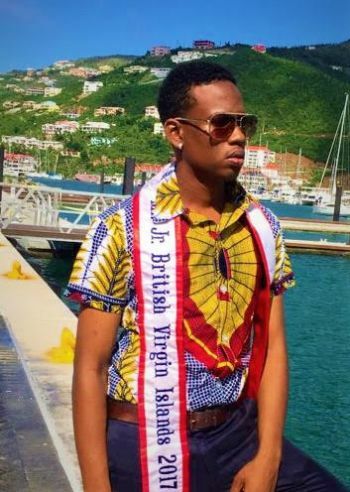 Along with owning his own marketing business, he also desires to become the Marketing Manager of the BVI Tourist Board. “I ultimately see myself owning my own Marketing Company while being the Director of the BVI Tourist Board,” he said. Our young professional expressed that when Hurricane Irma was about to hit the territory he thought to himself that it was going to be a “fun experience” but little did he know that the hurricane came with a vengeance while admitting that fear came over him when the hurricane made landfall. 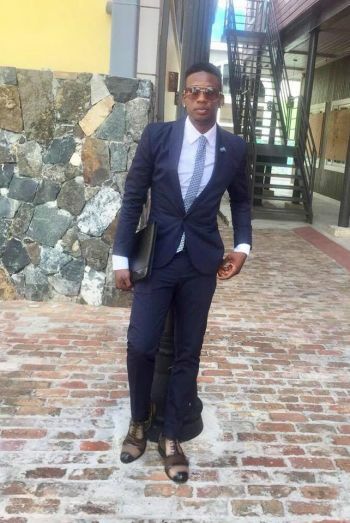 Following the hurricane, Yohance indicated that he volunteered at the BVI Health Services Authority (BVIHSA) in the Physical Therapy Rehabilitation Unit and the Fourth District supply distribution centre to keep himself occupied. Currently, our marketing manager continues to put his creative mind to use by assisting a construction company in the marketing field. This young VIslander wants to see his territory move forward in the recovery process and so he is doing his part by getting his hands dirty by assisting in the reconstruct of Quito’s Gazebo and Neptune’s Treasure on Anegada. “As a BVIslander, an improvement that I would like to see in our territory is in our infrastructure. Being that tourism has been a great financial pillar for the British Virgin Islands, the infrastructure needs to be upgraded and updated. Even before the passages of Irmaria, there were major infrastructural issues. For example, roads, access and parking, building maintenance, and waste management. The better the ambience of our islands, the better the experience for not only the incoming guests but for us,” he passionately expressed. Our young professional stated that his biggest inspiration comes from his mother who he said he watched raise himself and his sister “singlehandedly” and that has always kept him focused on doing better for himself and the family he intends to have in the future. “She always reminds me of what she went through raising my sister and me. Her strategic reminders often keep me focused so that I can provide for just as good or even better for my family in the future. I said if my mother could do all that she did for me then I should work hard and follow my dreams to give back to her,” said Yohance. When Yohance is not working, you can find this energetic youngster singing with Razor Blades Fungi Band, Songs of Love or even solo. In his spare time, he also enjoys dancing, socialising and just being creative. Giving some advice to his fellow youth, Yohance encourages them to learn from their mistakes and keep pushing forward in life. Very good its in depth article continue to live a life that is inspiring young man. So proud of you Hance! Continue making strides, not steps, to bigger and better goals. Rooting for you always!